When PGA Tour players are blasting drives over 350 yards with some regularity, it’s no wonder that new drivers get so much attention. Everybody loves the long ball. That goes double at the PGA Merchandise Show where drivers are almost always the main attraction, garnering outsize attention from club pros and media. It’s a bit ironic when you think about it: after all, you only hit driver about 14 times per round, while irons, wedges, and putters are all used for many more shots. Titleist introduced two new driver models to great acclaim at last year’s Show. The 917 D2 and D3 were a huge hit as were their fairway metals and it is expected the company will launch new driver models next year. However, this year Titleist put their new product focus on irons and hybrids. Titleist is a company that prefers to improve on their successful products, rather than constantly launch new ones. The Pro V1 was introduced in 2000 and has been tweaked several times over the past 18 years. The same goes for most of their golf clubs. It’s a marketing strategy that generates long term brand loyalty. The company starts with the premise that there is a “pyramid of influence” when it comes to equipment. Products are validated by the best players on tours worldwide and that technology is adapted for varying skill levels from elite amateurs to beginners. However, not every product can fit every need and occasionally there are gaps where perhaps a new model will perform better for certain skill levels. In 2018, Titleist introduced two new models to fill such gaps and, as usual, improved on several other winners. For a number of years, Titleist has delivered four models of irons, the MB (MuscleBack) and CB (CavityBack) sets preferred by many tour players and the AP1 and AP2 sets used by the majority of amateurs. In 2018, the company has expanded their product line-up to six in order to bridge some perceived gaps. The AP1’s are player friendly clubs that fit squarely in the game improvement category while the AP2’s are preferred by elite amateurs and some pros that demand more workability with their irons. New for 2018 are the AP3’s that fit nicely between them. The AP3’s are designed to offer more distance and forgiveness while still maintaining the feel and control of a more compact iron. That translates into approximately 6 ½ more yards of carry distance per iron. And not to be outdone, new technology has also upped the carry distance on the 718 AP1’s and AP2’s as well. Both are several yards longer than the 2016 models. 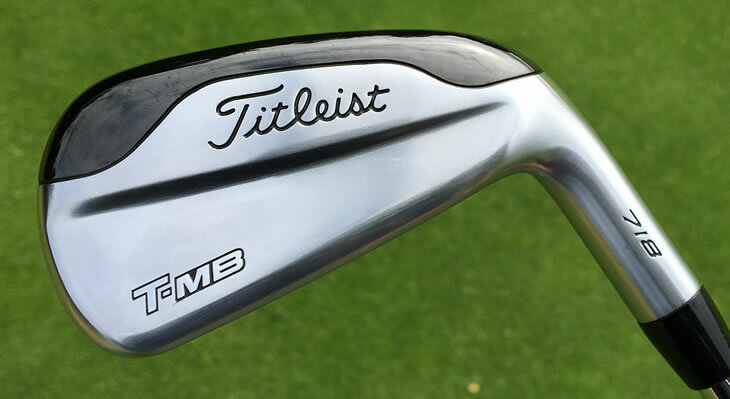 Titleist has also expanded another offering: the T-MB’s, which were originally a utility iron but are now available as full sets (2-PW). The hollow cast body is complemented by a high speed face insert and high density tungsten inserts in the heel and toe to make this the highest MOI iron in the Titleist lineup. Also, the most expensive. For complete details on the 718 irons including all the specs, click here. The hybrid category is by definition a club that bridges the gap between metal woods and irons. However, given that it often replaces irons all the way up to 6 or even 7, it really has to put more emphasis on accuracy and distance control rather than pure distance. 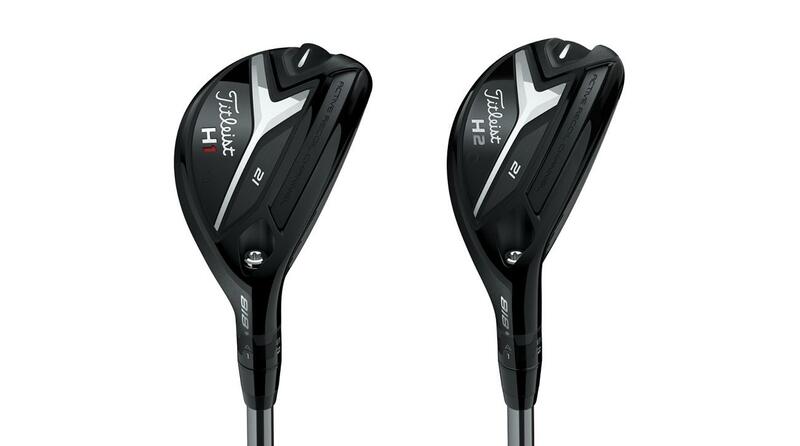 Titleist has two models of hybrid (H1 and H2) and they are designed for specific swing types. The H1 is the larger of the two clubs and designed for players who like to “sweep” the ball like a fairway metal. The H2 is a smaller profile and works well for most of the PGA Tour staff players and elite amateurs who are more likely to hit the ball with a descending blow, imparting more spin and control. The latest versions have a deeper centre of gravity than the 2016 models, which produces higher MOI on off center hits and a slightly higher launch angle. Titleist also has exciting new products this year in the wedge, putter and ball categories which we’ll cover in upcoming issues.